After slipping into the relegation zone last week, VfB Stuttgart need to improve on their poor run of form at home when European hopefuls 1. 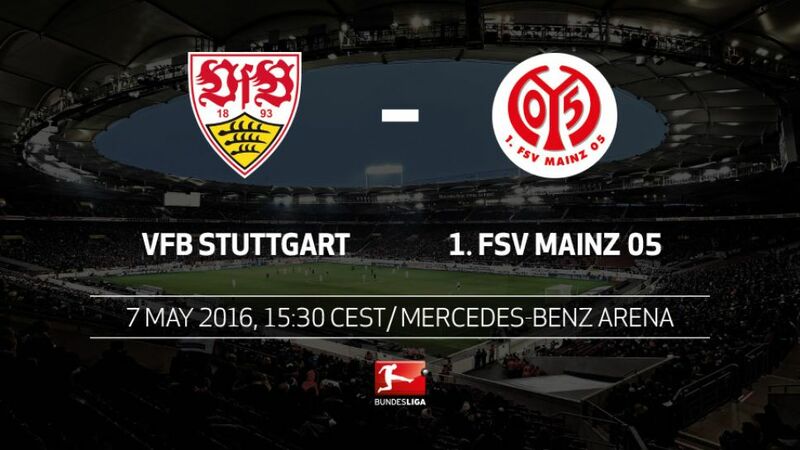 FSV Mainz 05 come to town on Saturday (kick-off:15:30CEST/13:30GMT). A 6-2 defeat at SV Werder Bremen on Monday night saw Stuttgart tumble into an automatic relegation spot. With their direct rivals in an incredibly tight four-way battle to avoid the drop all facing tough fixtures, Die Schwaben could potentially be the big winners at the bottom on Matchday 33. Opponents Mainz are still very much in the hunt for European qualification, but are currently on their worst-ever run of form under Martin Schmidt. Either way, this fixture promises to have real ramifications at both ends of the table. Mainz's five-game winning streak came to an end after they were held to a 0-0 draw at home to Jürgen Kramny's improving Stuttgart. Stuttgart have already suffered a nine defeats this season. A tenth would represent an unwanted club record.Mainz have only won one of their eight matches since beating FC Bayern München at the Allianz Arena.The 05ers are without a win in four matches for the first time under Schmidt (two draws, two defeats).Without having to rely on results elsewhere, Mainz need two more points to be sure of a European finish.FC Ingolstadt 04 and 1. FC Köln could still overtake Mainz in the standings.Kramny represented Mainz as a player, coached the Under-19s and was co-coach alongside Jörn Andersen when the club gained promotion to the Bundesliga in 2009.Stuttgart have lost their last three matches at home. A fourth on the spin would be another negative club record.The match is set to be Daniel Didavi's final home game in a Stuttgart shirt ahead of his summer move to VfL Wolfsburg.Stuttgart's last two home games were sell-outs. A third successive capacity crowd would be a club first.